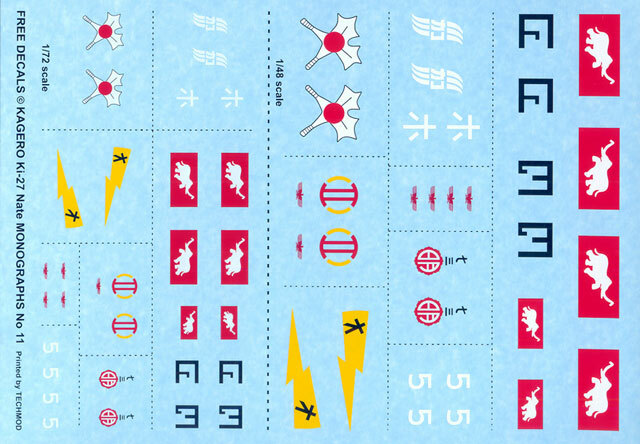 Advantages: Bi-lingual text; decal sheet included for 1/72 and 1/48 scale models; good coverage of the Nate; includes excellent colour profiles and scrap view drawings. 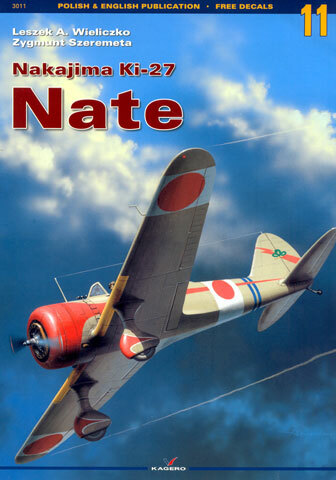 Nakajima Ki-27 Nate is number 11 in the Monographs series of books from Kagero, a Poland based publishing company. This is an excellent book! It not only tells the full story of the Nakajima built Ki-27 (the name 'Nate' was given to it by the Allies as a means of easy identification). it also gives a complete explanation of how the designations used by the Japanese Army Air Force came about and what they mean. The book begins with a period background of the world and the development of fighter aircraft in Japan. From there, it discusses the Ki-27's competition as well as its development and employment from the early stages and its operational use from its introduction in the China theatre in 1938 to its almost suicidal combat with the US Navy's F4U Corsairs and F6F Hellcats in the final days of WWII. The book is typical of what we have seen from Kagero in the past. The left hand column is printed in the Polish language and the right hand one in English. The captions to the photographs as well as the colour artwork receive a similar approach with the Polish language first followed by the English translation. Past publications from Kagero have suffered from quirky translations but I am happy to say that this seems to have been addressed by them and has been rectified. Camouflage and markings are also covered and a full explanation is offered for the all-of the different schemes worn by the Ki-27. Again, excellent information on a complex subject fully explained. The book is well illustrated with fifty full colour profile paintings as well as fifty two scrap views showing the squadron markings on the tails. The book is profusely illustrated throughout with black and white photos. Whilst a few of them are reasonably well known, the vast majority of them are newly published. The quality ranges from excellent sharp and clear ones that look to have been taken by professional photographers to what look like snapshots taken by members of the squadrons themselves. There are also 12 sheets of line drawings. The majority are in 1/48 scale but there are some 1/72 scale ones amongst them. One of the drawings is on a fold out sheet to A-3 size with drawings on both sides. 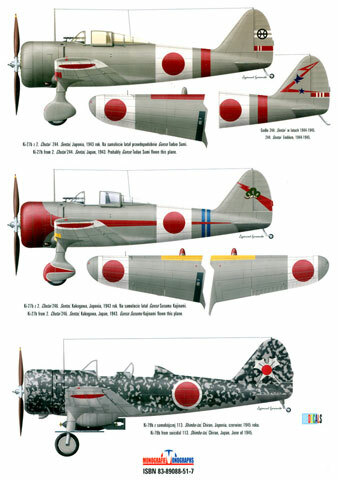 These drawings show the Ki-27 throughout its developmental life. A decal sheet is also included with the book. The decals are in both 1/72 and 1/48 scale and are printed by Techmod. Techmod decals are very nice but require care when applying. Use plenty of water to float the decal to where you want it and you won't have a problem. Markings are offered for eight different machines including one for the Thai Air Force that feature white charging elephants on a red rectangular background. The decal sheet is packed into a sealed plastic bag that is placed into a plastic mount on the inside of the front cover. The book is A4 in size and consists of 124 pages printed on glossy paper between cardboard covers. Again, this is an excellent book and is recommended to all students of the WWII Japanese Army Air Force.